The death occurred, suddenly at Cavan General Hospital, in his 87th year, on Wednesday, June 13 of Michael Harkin, Cartron, Granard, Longford. Sadly missed by his Loving wife Maura, sons Michael, Thomas, JP and Brian, daughters Maureen, Marguerite, Paula and Breda, sons and daughters-in-law Anthony, Paddy, Patrick, Catherine, Eilish and Kim, sister Bridgee Smith in U.K., all his grandchildren, brothers-in-law, sisters-in-law, nieces and nephews, relatives, neighbours and friends. May he Rest in Peace. Reposing at his home on Saturday, June 16 from 12 noon to 4pm with removal to St Mary's Church, Granard to arrive at 6pm. Funeral Mass on Sunday, June 17 at 2pm. Burial afterwards to Granardkille Cemetery. Family flowers only please. Donations, if desired, to Irish Cancer Society, c/o Frank Kilbride Funeral Director or any family member. The death occurred, peacefully at home, in the loving care of his beloved family, on Friday, June 15 of Peter Thorn, Thornbury Fields, Rathowen, Co Westmeath, and Bedfordshire, England. Peter will be very sadly missed by his loving wife Janet, children, Nadine, Micah, Kyle and Rivers, adored grandchildren Conor, Gabrielle, Logan, and Ava, sisters Ann, Irene, and Barbara, brothers Ray and Keith, nieces, nephews, relatives and many friends. Never Forgotten. Funeral Service will be held at 2pm on Wednesday, June 20 at St Thomas' Church, Rathowen, followed by cremation at 4pm in Lakelands Crematorium, Cavan. The death occurred, peacefully, at Cavan General Hospital, on Saturday, June 16 of William McCabe, Drumheckna, Ballinagh, Co Cavan and late of Cavan Town. The death occurred, peacefully, at Cavan General Hospital, on Saturday, June 16 of Sheila Glennon (née Lee), Tullyeagan, Mountnugent, Cavan. Predeceased by her husband Philip and grandson Philip Barkey. Loving mother of Michael, Ita, Brian, Naill and Claire. Sadly missed by her family, brother Christopher, grandchildren, great-grandchildren, sons-in-law, daughter-in-law, brothers-in-law, sisters-in-law, friends and neighbours. Rest In Peace. Reposing at her residence on Sunday, June 17 from 12 noon. Removal to St Brigid's Church, Mountnugent on Monday morning, June 18 for 11am Funeral Mass. Interment afterwards in Ballinacree Cemetery. 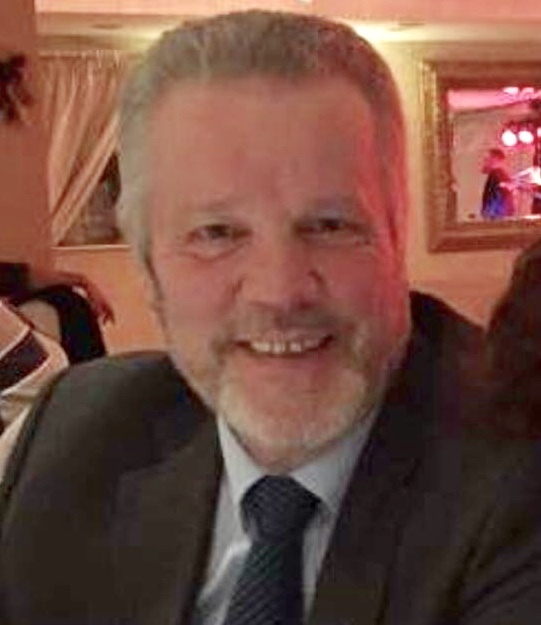 The death occurred, peacefully at his home, in the loving care of his devoted wife Patsy and family, on Friday, June 15 of Patrick ‘Pakie’ Carty, Knockroe, Boyle, Roscommon. Deeply regretted and lovingly remembered by his wife Patsy, daughters Mary (Sligo) and Ann (Strokestown), sons Michael (Knockarushe) and Joe (Knockroe), sister Nora, daughters-in-law Pauline and Fionnuala, son-in law Ollie, grandchildren Megan, Sean, Sarah, Jane and Niamh, nieces, nephews, relatives, neighbours, carers and friends. May he Rest In Peace. Reposing at his home on Saturday, June 16 from 6pm until 9pm and on Sunday, June 17 from 3pm until 6pm, family time thereafter until removal on Sunday evening to arrive at St Michael's church, Croghan, at 8pm. Funeral Mass on Monday, June 18 at 11am with burial afterwards in Eastersnow Cemetery. ‘Ar dheis Dé go raibh a anam dilis’. The death occurred, peacefully surrounded by her family and in the loving care of the staff at Ballinamore Nursing Unit, on Friday, June 15 of Mona Cafferty (nee Bohan), Drumlowan Gorvagh, Mohill, Co Leitrim. Predeceased by her infant daughter Nuala, her brothers John Charlie and Frank and her sister Phyllis. Sadly missed by her loving husband Packie Joe, daughters Maura ( Gilbane, Monaghan), Monica (Quinn, Mullingar) and Patricia (O'Dowd, Elphin), son Aidan, sons-in-law Bernard, James and Richard, daughter-in-law Evelyn, grandchildren, brothers-in-law, sisters-in-law, nieces, nephews, relatives and friends. RIP. Reposing at her son Aidan's home at Drumlowan on Saturday, June 16 from 2pm to 9pm, family time thereafter. Removal on Sunday morning June 17 to St Patrick’s Church Mohill, arriving for funeral mass at 10.30am. Burial afterwards in Fenagh Abbey Cemetery. House private on Sunday morning please. Family flowers only, donations if desired to Ballinamore Nursing Unit. The death occurred on Wednesday, June 13 of Fergus Dunne, Church Street, Castlepollard, Westmeath. Predeceased by his brothers Kevin and David. Deeply regretted by his sister-in-law Alice, cousins, relatives and friends. May Fergus Rest in Peace. Funeral mass on Monday, June 18 at 11am in St Feichin’s Church, Fore, with burial afterwards in adjoining cemetery.